Your buildings and grounds are not public places. A strict access policy is essential for the prevention of thefts, the safety of your staff and the protection of your trade secrets. In short: you must have control over the 'who, where and when'. With Emprova-Access you determine who gets access to which zones and at what times. But there are more benefits. In an emergency situation, you know exactly who is in the building. This makes a fast and safe evacuation possible. Moreover, you will never have to replace locks again with this system. If you identify abuse, you only have to block the access card of the person in question. Discover our on-premise and cloud solution. You only grant access to the persons entitled to it via badge or biometric readers. Our badge readers are multi-format and therefore able to read different technologies. This means that your existing badges can usually be reused. If you do not have badges yet, you can opt for the highly secure GPS badges. When one of your employees loses a badge, it is easy to block it in the software. Biometric readers finally provide access based on a physical characteristic. The best known technology is fingerprint, but also iris scan, facial recognition and palm print are among the possibilities. GPS Time & Security has been working with market leader Paxton for more than 20 years as a hardware supplier for online and offline access control. This allows you to choose from the largest hardware range in the Benelux and always at the best price. The solutions are intuitive and easy to use and are also perfectly integrated in our time registration software for central management. Access control is traditionally installed on-premise, but now can also opt for a solution in the cloud. Unique in the Benelux! This saves you considerably in space and maintenance. In addition, you only pay licensing fees on the number of sites that are active. Further, the system has no restrictions on the number of doors, users and access levels. 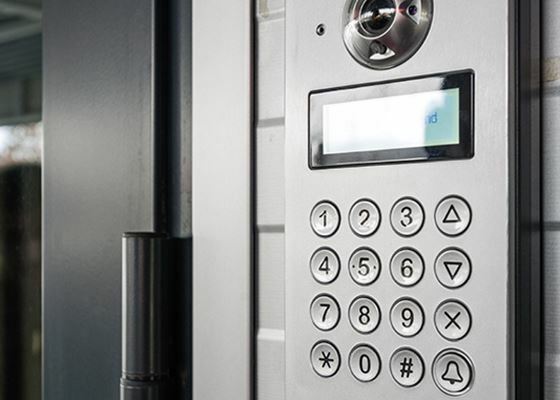 If your business grows, your access control grows too. Finally, you can consult the current situation or create reports from any device.